Whenever I attend an event, I'm always dragging more than I can reasonably carry. So I'm always hunting for good / sturdy / transportable period-appropriate baskets. While there are wonderful sutlers who recreate them, their price point tends to be more than I can justify spending. 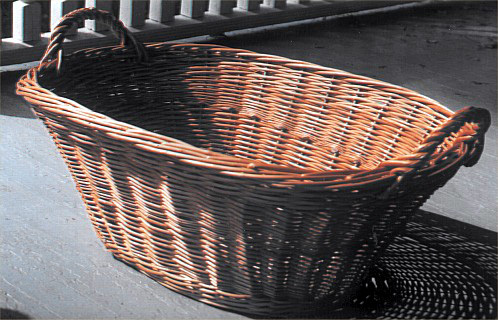 And the few repro baskets I've bought that are affordable are far from sturdy. 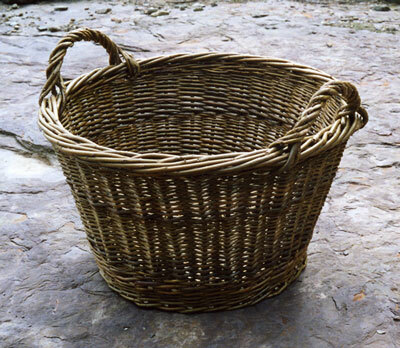 So where can we find decent baskets that won't break the bank? 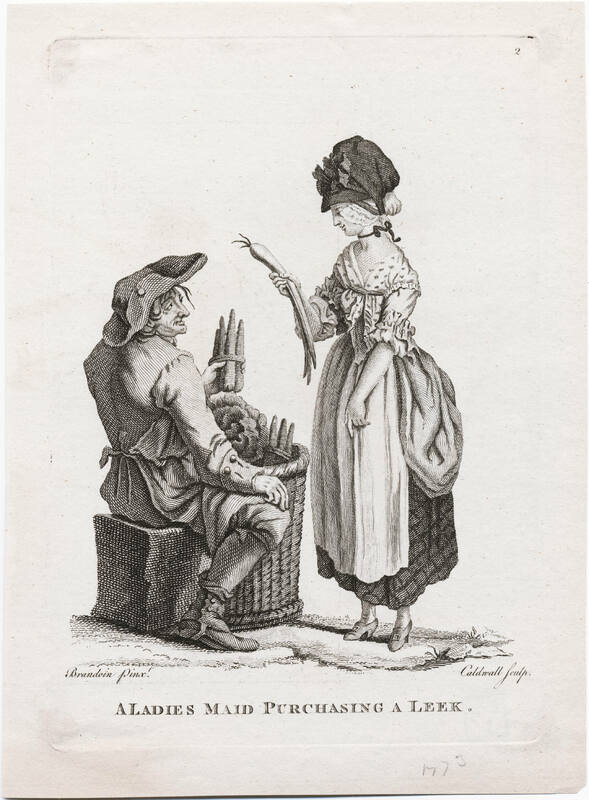 Below I have matched the appearance of several modern baskets to 18th century prints. There are lots of baskets in this print! 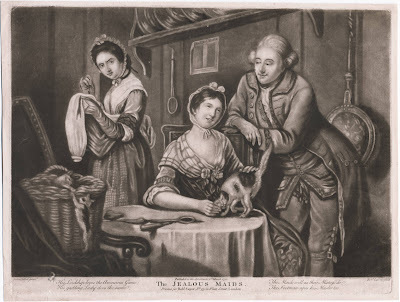 I can't find a circa date but am guessing that it's earlier in the 18th century, which seems reasonable to use something similar for reenacting purposes. Ten Thousand Villages sells this $10 Oval Date Palm Basket, which looks similar to the basket above the woman's left hand. 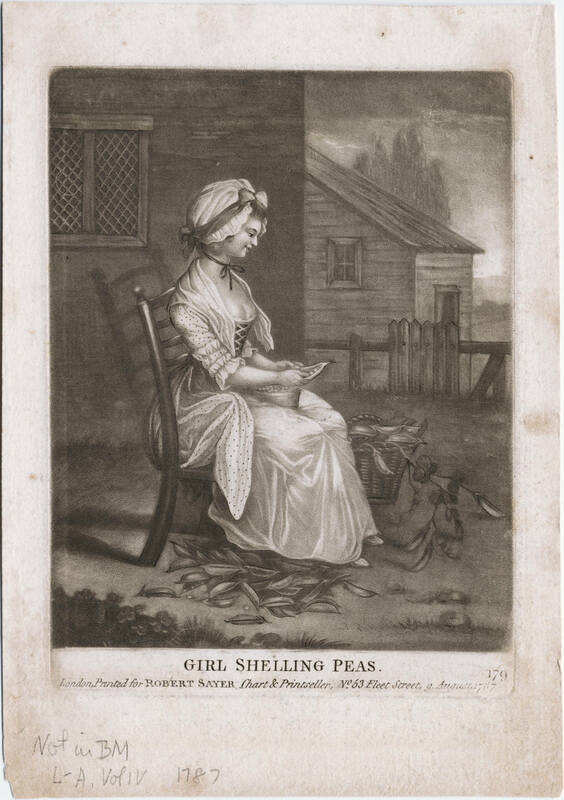 But the primary source example only has one handle. This Fruit Basket by Joanna's Collections ($36, in the solid color) looks similar to the one the woman carries under her right arm. 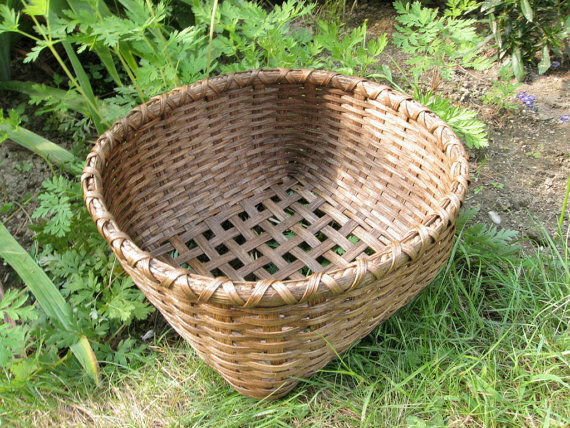 For a splurge, there's this Bushel Basket from English Basketry Willows for $150--which is a close match to the basket in the print above. 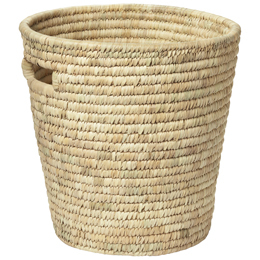 Ten Thousand Villages sells this Laundry Basket for $39. If you remove the lining, it's relatively similar to the one in the print. Though this basket isn't as deep as the one in the print, The Jealous Maids, I'm fond of this Round Storage Basket from Joanna's Collections ($60). There's also this Apple Basket by Amish Wares ($48) which is closer in shape to the basket in The Jealous Maids. 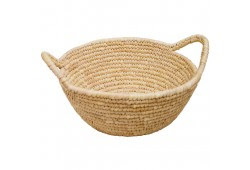 For nearly half the price the Container Store sells a Round Date Leaf Basket ($39.99). Given that the other examples all have attached handles and not open handles like this one, this might not work for the authenticity stickler. However this basket offers the best value relative to the large amount that can transport for this price point. Over investing in something that will be outdoors at events and could get wet / ruined, might be worth disguising the top with a blanket or cloak. 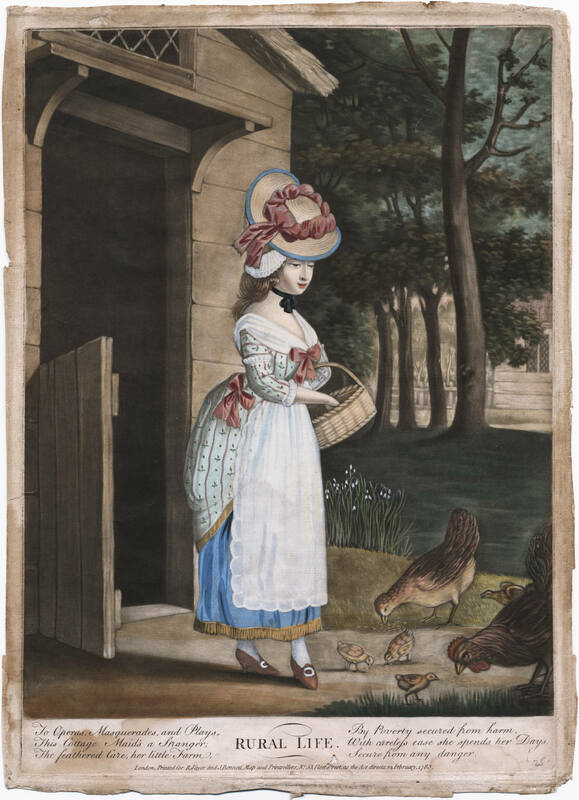 Lastly there's the basket that's sold everywhere--especially at Easter. 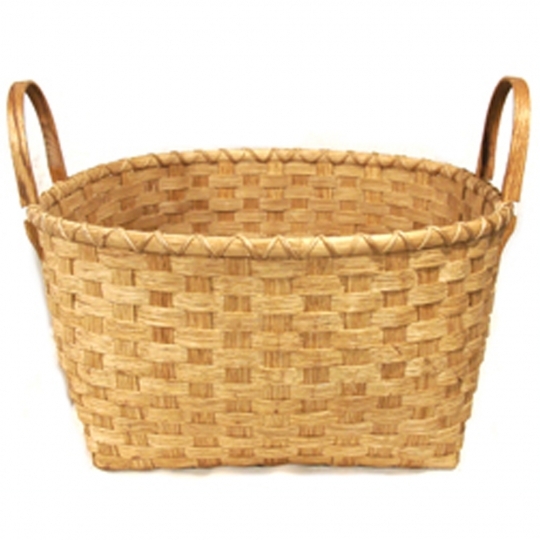 One version I really like is this Williamsburg Market Basket from Joanna's Collections for $42. 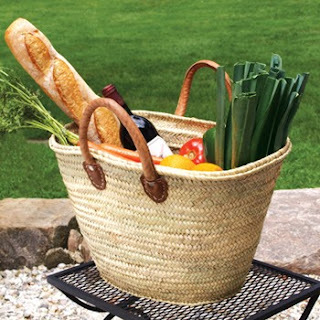 This French Market Basket is similar to one that I have (which I blogged about in August). 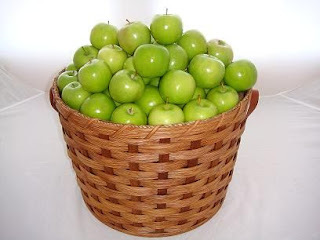 It's an affordable price ($40) for a big basket that's easily transportable at events. 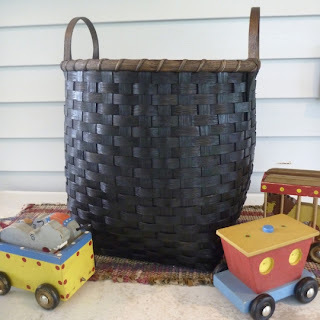 Soaringspiral Designs on Etsy sells lots of beautiful baskets, like this Medium Storage Basket for $42. 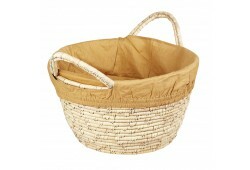 And then there's the super splurge basket from English Basketry Willows; they sell this Laundry Basket for $175! 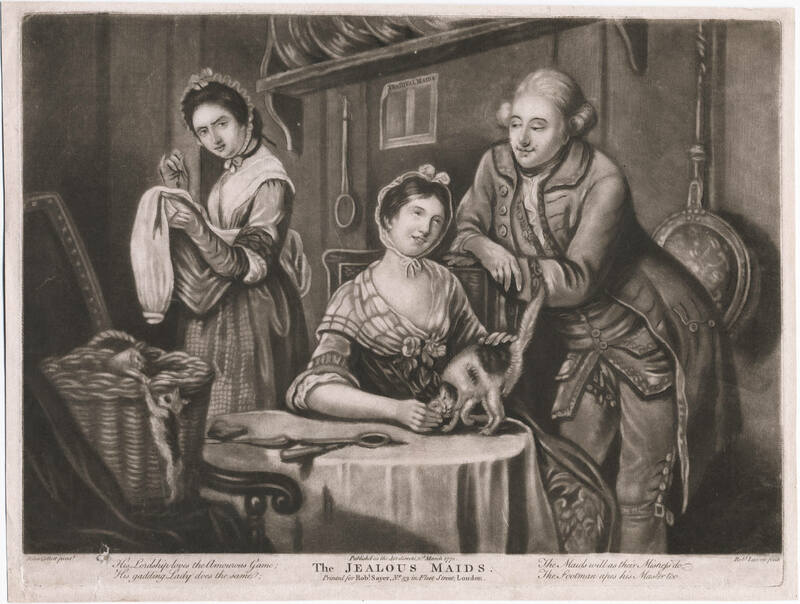 Naturally these are just a few of the many options available...there are oodles more vendors to shop from and period prints to match them to. If you find sources for well priced period-appropriate baskets, I would love to hear about them! Baskets are a huge favorite of mine too. I can occasionally find okay ones at the Christmas Tree shop, but it is hit-or-miss there. My favorite place to get baskets is the Peterboro Basket Company. They have big sturdy hampers that take a lot of abuse, and they have cooler baskets! I love my big cooler basket, it is very sturdy acts as a table or stool as well as keeping things cool. Thanks for sharing your source for cooler baskets! I saw photos of it before but couldn't figure out who manufactures it. 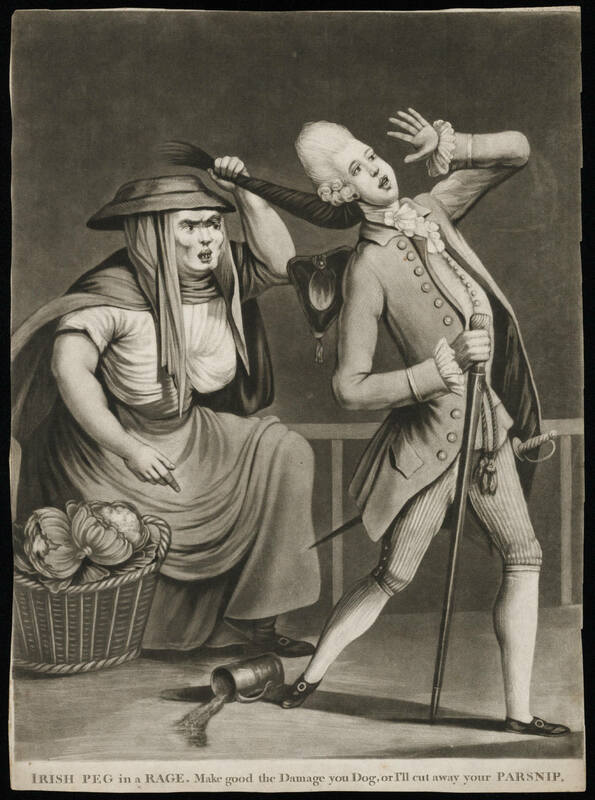 I would avoid those coiled baskets. 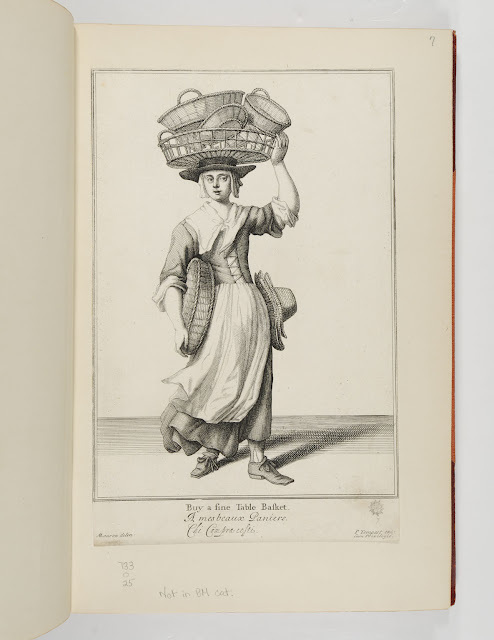 The shape might be correct, but the baskets in those prints are willow. Stick with willow or split wood or if your budget is limited, something that resembles split wood. That Soaringspiral Designs Basket is very good...and a great price. Any of the ones from the English Basketry Willows are appropriate also. When purchasing a basket - you need to look at the weave of the basket, some of those posted were constructed different and therefor the weave and look are different. Split and woven baskets are constructed different than those that for the period.